Looking for new ways to boost your revenue? Business technology can empower your company to perform better through increased productivity. While the benefits of new tech adoption are often indirect, they are undeniable. In today’s digital world, you can hardly afford not to adopt the latest disruptive technology. Otherwise, your competitors might overrun you even if you have the upper hand right now. If you are serious about optimizing performance, you have to take action. Read on to find out how better business tech leads to higher productivity and increased profits. Automation is the most direct benefit of new tech adoption. Even when new systems don’t affect your income , they do allow your staff to automate repetitive tasks. There are thousands of programs that enable employees to streamline business processes that require no skill. Automation will help you create lists and sort your warehouse items. It will also allow you to identify issues in your production line, and reply to inquiries in seconds. These tasks would require dedicated work from one or more people. Automation makes these tasks instant. This frees up manpower you can then use in other tasks. Automation will allow you to improve your organizational efficiency. It will also boost your marketing and branding efforts. There are several applications that allow you to reach out thousands of potential customers with a single email. The bigger your company gets, the more productivity you will lose. Miscommunication, lag, and compartmentalization will all cost you money. By leveraging new technology, you can build an open communication environment across your company. In traditional businesses, managers come together in weekly meetings to discuss their plans. This was slow and inefficient. Today, you can have instant communication across different departments as many companies switch to Google’s G Suite business or enterprise plans or to similar cloud-based business plans from Microsoft. Messenger apps, cloud-powered forums, and productivity platforms all help enhance productivity through efficient communication. Technology will also benefit external communications, further boosting productivity. You can connect with your existing customers, reach out to potential new clients, and respond to feedback in real time. This benefit works with automation in applications such as mass emails and responsive advertising. With more than 4.8 billion chip payment cards active in the world, you will need a credit card machine for business competition. Going paperless is a good way to reduce organizational costs. It will also lower your carbon footprint and allow you to process payments faster than ever before. Online payments will also open up new opportunities to close sales. Features such as abandoned cart reminders, and suggested products increase the productivity of your sales experts. Almost 60% of all internet searches are done through smartphones. This means that you can no longer ignore mobile friendliness in your online operations. Responsive design is now considered a business best practice. Google will penalize your website if it doesn’t display properly on mobile devices. Mobile friendliness opens up new opportunities to connect with your customers. Cloud computing has revolutionized cost-effective IT for companies of all sizes and scopes. By utilizing the cloud, you can enjoy many benefits that impact productivity in some way. The most obvious benefits of the cloud are its security and its stability. By taking your business to the cloud, you are protecting your assets from external threats and everyday IT risks. The cloud can also help your employees work together more closely than ever before. By sharing documents and communicating in real time, they will be able to reach new productivity thresholds. Cloud solutions will also improve your marketing efforts by allowing you to leverage the power of big data with more efficiency. New tech is making passwords obsolete. Keeping track of dozens of passwords across your company reduces productivity. It can also cause a number of technical frustrations. New business tech promotes dynamic authentication. This allows your employees to log in without having to type in passwords every single time. Some of the most advanced authentication applications include voice recognition and facial recognition. Two-part authentication is another efficient authentication method. It improves the functionality of passwords by introducing a dynamic encryption element. New business technology allows you to track your productivity to know where you stand. 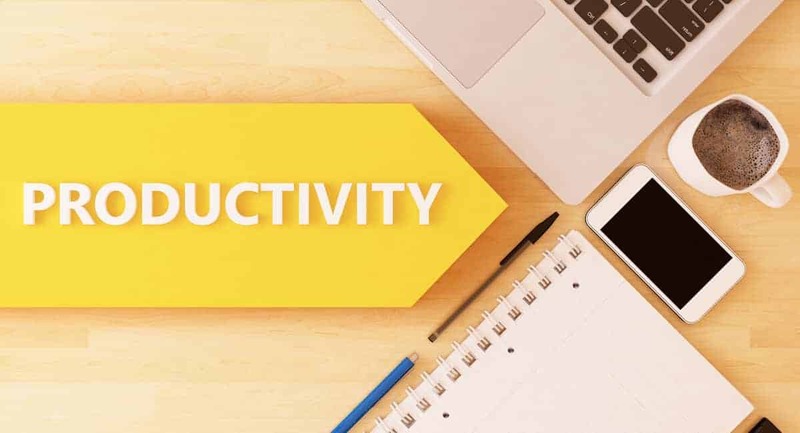 There are many business productivity products that streamline many common business tasks. These also while give you an overview of who is working on what. You can lead your business with more efficiency when you know what your teams are doing. This empowers you to make informed business decisions and identify weak points in your operations. Moreover, the same tech allows you to leverage big data to boost performance. Big data analytics will give business insights from all the raw data you collect through your online operations. Big data will help your marketing department identify new opportunities. That way, they will be able to reach your targeted demographics with unprecedented efficiency. Better business technology means happier employees. It also means increased productivity. By eliminating frustrations and automate boring tasks, you will boost job satisfaction. New tech can help you train your employees and keep them motivated through dynamic rewards and real-time goal tracking. The same technology allows you to comment top-performing employees and identify problems. Are you looking for more exciting news on the intersection between business and technology? Check out our Technology news category.